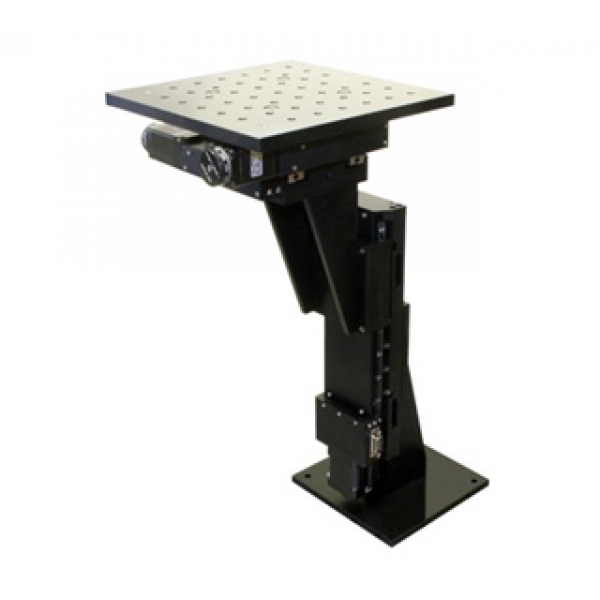 This system is a combination of linear actuator LSMA-200, vertical stroke 100 mm, and XY table LSMA-167, travel 25 x 25 mm. Different stages combination and travel strokes are available upon request. Rotary stage RTHM-190 can be installed, as an option.